Shin splints are a common, painful injury. While shin splints cannot always be avoided, there are ways to treat them so the pain does not last as long and ways you can avoid this injury in the future. Shin splints occur when excessive force causes the muscle, tendons, and connective tissue in the shin area (front of the lower leg, behind the tibia) to become inflamed. Running is a common cause, but any high-impact activity can cause shin splints. When performing high-impact activities that put excessive force on the lower leg – running, jumping, walking – it is important to use good form and wear proper footgear. Fitness professionals, physical therapists, sports medicine doctors, and podiatrists can assist you in these areas. Perform 10 to 15 repetitions of calf raises, working your way up to 3 sets of calf raises per day. When that gets easy, add walking on your toes. Start with your toes pointed straight ahead and walk about 25 yards on your toes. Next, point your toes inward and walk 25 yards on your toes. Finish by pointing your toes outward and walking 25 yards on your toes. Do these exercises up to 3 times per day. To strengthen the muscles in the front of the lower leg, walk on your heels with your toes lifted and follow the pattern listed above. Perform each set of walking on your heels exercises up to 3 times per day. Finally, stretch your calf muscles daily by putting the toes of one foot up on a wall, heel on the floor, and gently leaning in to the wall to feel the stretch in the calf. Hold this stretch for 30 to 45 seconds, and then repeat on the other foot. Do this up to 3 times per day. While shin splints are painful, they are no reason to give up doing the activities you enjoy. 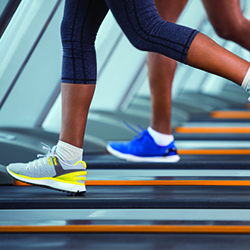 To help avoid shin splints: wear proper footgear, use good form, and follow the exercises listed above to strengthen and stretch your lower legs. When shin splints do occur, treat them properly: rest, apply ice, and take anti-inflammatory pain medicine. Note: If you experience shin pain that occurs after a fall or accident, if your shin is hot and swollen, or if you are in pain when you are sitting still, check with your doctor to make sure you do not have a more serious injury. Reynolds and Reynolds is committed to wellness and helping employees develop healthy habits that make them more productive and engaged, both professionally and personally. Kim works as the Fitness Specialist at Reynolds Headquarters where she helps employees better understand the steps to developing a healthy lifestyle. 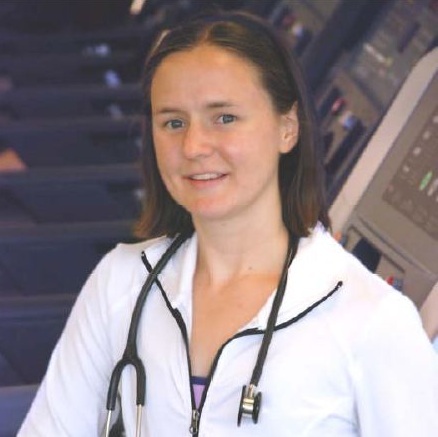 She graduated from Hope College in Holland, Michigan, with a degree in Exercise Science and is an American Council on Exercise (ACE) certified group instructor and an American College of Sports Medicine (ACSM) certified personal trainer. Her passion is running, and she regularly participates in 5k runs in the Dayton area.